You may be wondering how easily you can learn how to perform Reiki healing touch. It may boost your confidence to remember that there is already a healer within you. Your body’s innate ability to heal itself from many ailments certainly provides proof of that. 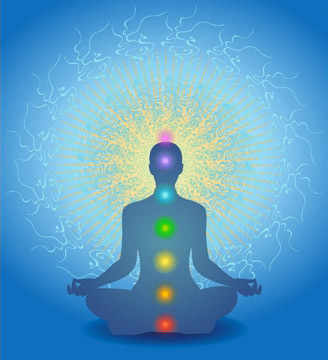 Your inner healer is also the part of you that desires to nurture yourself as well as others. For example, it’s this part of your being that may follow the natural instinct to extend a healing touch when you see someone in physical pain. Or lend a compassionate ear when someone is feeling stressed or depressed. The healer within also knows that you need to appropriately nourish your own mind, body and spirit. Training in the Japanese tradition of Reiki helps bring your inner healer more to the forefront of your life. Learning this hands-on system of energy-based healing enables you to quickly and significantly expand your ability to help not only yourself, but also your loved ones and anyone else in need. 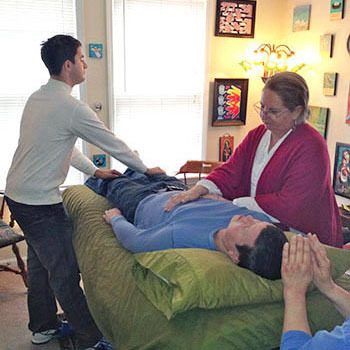 What is so miraculous about Reiki training is how easily the ability to use this effective healing force is attained. Whereas learning some energy-based healing arts requires deep concentration and years of practice, the ability to channel Reiki is simply passed from teacher to student during a peaceful attunement process taking little time. Therefore, you can actually learn the introductory basics of Reiki during a single day of instruction. The Usui System of Reiki includes four attunements (Levels I, II, Advanced, and Master). Each increases your connection to the very high vibration of universal life-force energy called Reiki. In Japanese, the Reiki attunement process is called reiju (meaning spiritual blessing) and is considered an awakening process, greatly amplifying the abilities of your healer within. Reiki is not a religion, but it is believed to come from your Higher Power (however you choose to define that). Once attuned to the Reiki energy source through a Master Teacher, you can begin to easily channel more holistic-healing energy (for use on yourself or others). 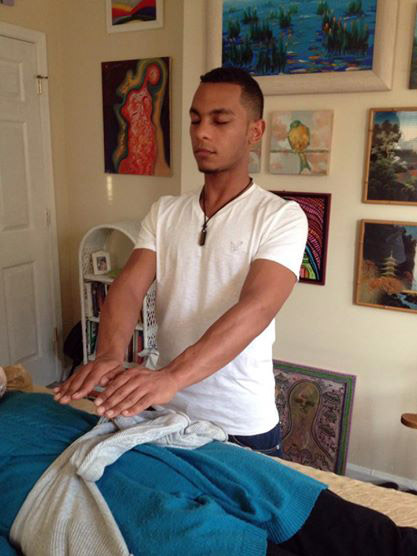 Reiki is wonderful for stress reduction, relaxation, and creating a greater sense of balance. Enhancing one’s own natural ability to heal, Reiki helps improve the flow of life-force energy through the body, clearing energy centers (known as chakras) and pathways of imbalances or blockages. I will teach you effective hand positions, techniques, and meditations for using Reiki. Perhaps you can already imagine how empowering it will feel to possess this healing ability right in the palms of your hands. In Japanese, Reiki means universal (or spiritually guided) life-force energy. As you begin using Reiki, you can truly feel this high vibration of energy channeling through your body and pleasantly pulsing out through your hands to wherever you direct it. It feels warm and wonderful! Because you become a channel for this energy, it’s actually just as healing to give Reiki to someone else as it is to focus it on your own body. You receive healing at the same as the recipient. “I want to thank you for a truly wonderful day learning Reiki. I was literally buzzing all evening. I worked on my daughter, dog and myself last night and really realized how much, as a mother, I use my hands to hold, comfort and communicate with my family. I am slowly realizing how much this is going to mean to me in all aspects of my life. Thank you for a very well-organized, interesting and powerful day.” – Helen M.
You don’t have to want to become a professional healer to reap huge benefits from Reiki training. You may want to learn Reiki to heal yourself, accelerate your personal growth, and achieve greater balance. Of course, you may see yourself helping many other people with Reiki as well. Therefore, my classes thoroughly cover treatment of other individuals as well as the self. You can imagine how appreciative your loved ones will sound as they benefit from your enhanced healing touch. Reiki is such a wonderful skillset for any sort of caregiver. If you’re like me, you may one day find yourself heeding an inner call to serve many people with Reiki healing, starting your own professional practice. If that is your goal, I am here to support you in fulfilling your vision. 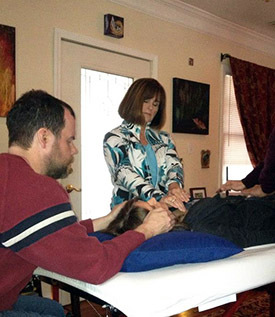 Numerous alumni of Wellspring Rejuvenation Center have grown their own professional Reiki practices in the Southeast and beyond. “I don’t think I could have asked for a better experience. Everything about your class was just wonderful. From beginning to end, you offered such a welcoming environment, professionalism, support, and compassion. 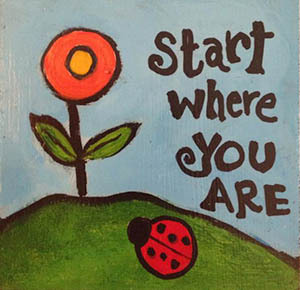 You set a great example of what a teacher should be!” – Desiree A. A Usui Reiki Master and registered Karuna Reiki® Master Teacher with the International Center for Reiki Training, I spend time focusing on how Reiki was originally practiced in Japan, but also emphasizing the wonderful, powerful ways in which it has evolved to complement other healing practices and reflect the rising consciousness of humankind. Wellspring Rejuvenation Center offers all levels of Reiki Training, from traditional Japanese Usui Reiki to a wonderful evolution of the system called Karuna Reiki (taught in conjunction with a powerful, complementary healing practice called La-Ho-Chi). Virtually anybody can learn how to do this. We are all worthy! You can relax, knowing that Reiki energy never causes harm. 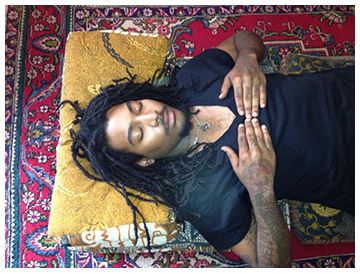 Reiki is spiritually guided, so you really can’t mess it up (your Higher Power supports you). You’ll learn a variety of ways to incorporate Reiki into your daily life that are fun and empowering. Even just doing 15 minutes a day is so much better than doing none at all. Over time, you’ll want to do more and more as you notice how much the practice is enhancing your intuition and spiritual connection and advancing your progress toward feeling healthy and whole. My class sizes are small, usually limited to four students, allowing plenty of time for questions and personalized instruction. After each level of training, you are welcome to return for a one-on-one Reiki Refresher Followup session of energy trading. Offered at no extra charge, this two-hour session is a great opportunity for you to get more practice and ask any questions that may have come up since your training. This offer is always good! I maintain an ongoing interest in my students’ progress, so you are always welcome to contact me with questions. I love to hear from past students about how Reiki has transformed their lives. So much of my healing work is about empowering people to develop their intuition and trust their ability to make good decisions. So I encourage you to read through this Website (or call and ask questions) and notice how you feel. Does it seem like a good fit? I take a down-to-earth approach to teaching. My extensive background in written and verbal communications has proven of major benefit in conveying the subject matter in an easily understandable way. I treat myself every day with Reiki, and I have performed countless sessions on other people since 2002. This depth of experience enables me to share meaningful case examples of situations you might encounter as a healer (and how to best deal with certain scenarios). My background in hypnotherapy is also extremely helpful because I can help you better understand how the mind works. Almost always, true healing requires shifting our mental patterns and employing the power of positive thinking. As a teacher, guide and mentor, I am committed to your success and often go the extra mile. I would be honored to be of service to you on your healing journey. You may be brand-new to Reiki, or you may have already taken one or two levels of training somewhere else and feel ready for the Usui and Karuna Master classes. You can read about the training levels appropriate for your at this moment and contact me anytime to ask questions. You can also enroll today. Why wait any longer?